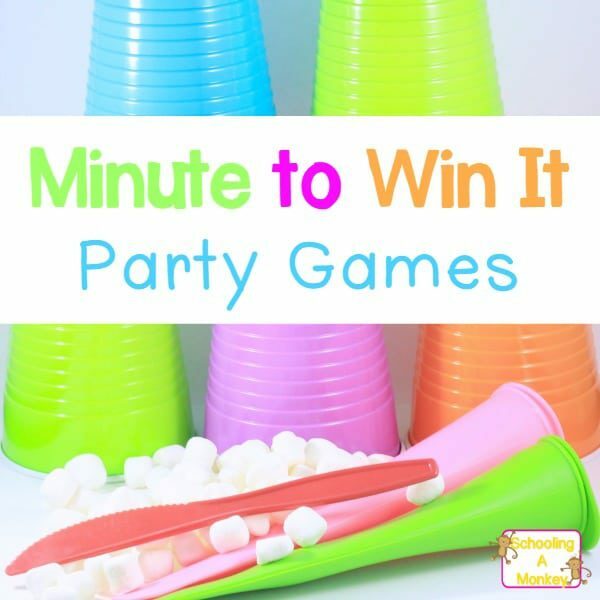 Kids Minute to Win It Games: Screen-Free Fun for a Rainy Day! Monkey and I have spent a lot of time watching Youtube challenge videos. The hosts on the shows are always trying silly and fun games. We decided to host our own version of kids minute to win it games on a recent rainy day for some classic, screen-free activity time. I had a bunch of stale marshmallows lying around from when we made marshmallow constellations, so I decided to use what we had and create kids minute to win it games using marshmallows as the main ingredient. Place three disposible cups in a row. Place two more cups in front and one final cup in front of that to make a triangle. Cups in the back are worth 5 points, the middle cups are worth 2 points and the final cup is worth one cup. Set a timer for a minute. 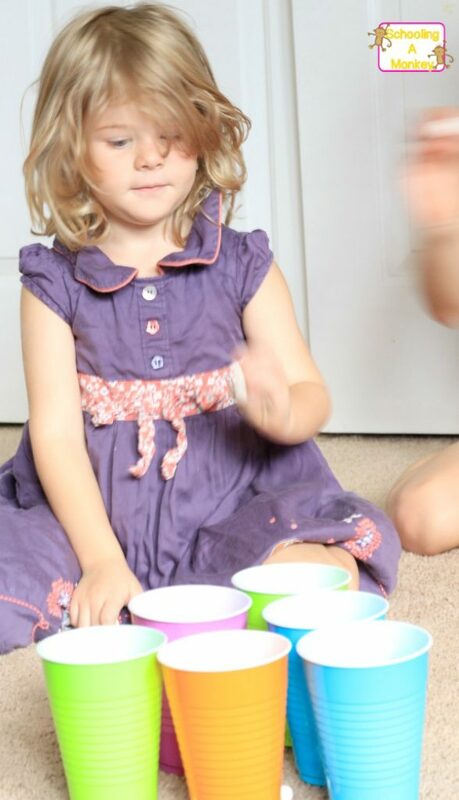 Have the kids stand about 3-4 feet away from the cups (depending on their age). 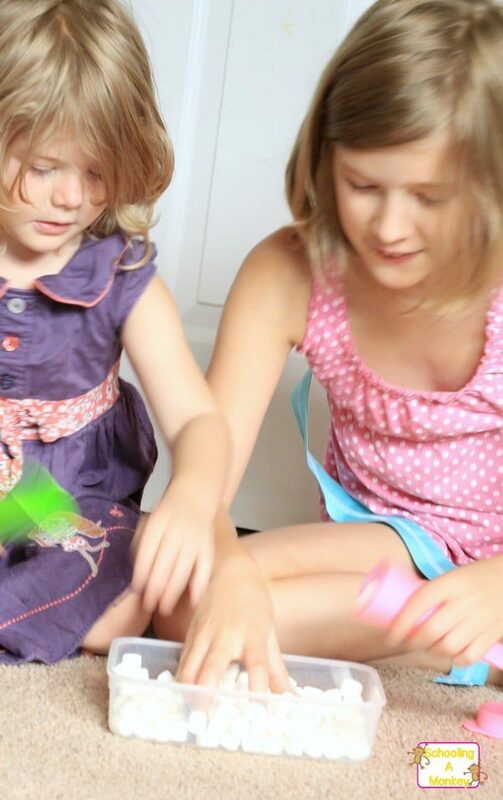 Give each child a stack of different colored marshmallows so you can tell which marshmallows belong to each child. Instruct the kids to throw marshmallows into the cups. The child who earns the most points in a minute wins. Clear a space for the game across a large room. Doing this game on carpet makes it slightly harder. 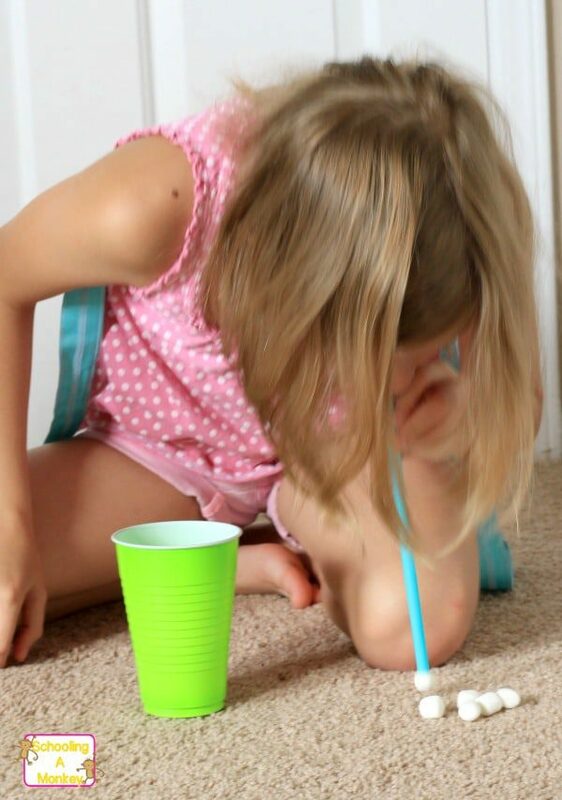 Give each child a straw and a marshmallow. Instruct the children to blow their marshmallows across the room. The first kid to the other side wins. 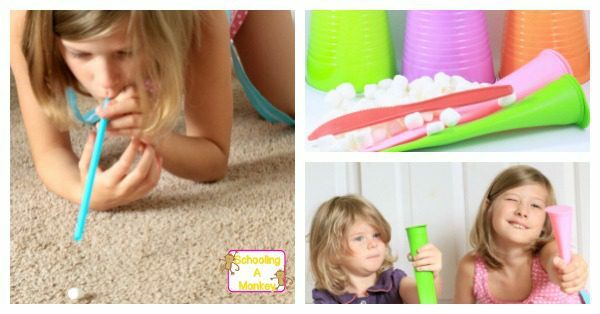 Provide each kid with a container of marshmallows and a silicone popsicle mold. Stuff the mold full of marshmallows and place the cap on the mold. The first child to finish wins. Each child will need three marshmallows and a plastic knife. Set up a large area for the relay race. Give each child a straw and 10 marshmallows. Each child needs two disposable cups. Put the marshmallows in one cup. Children must transfer the 10 marshmallows from one cup to the other. If they drop a marshmallow onto the ground, they must place it back in the first cup and try again. Monkey and Bo love silly games like these (Bo especially, loves to win). 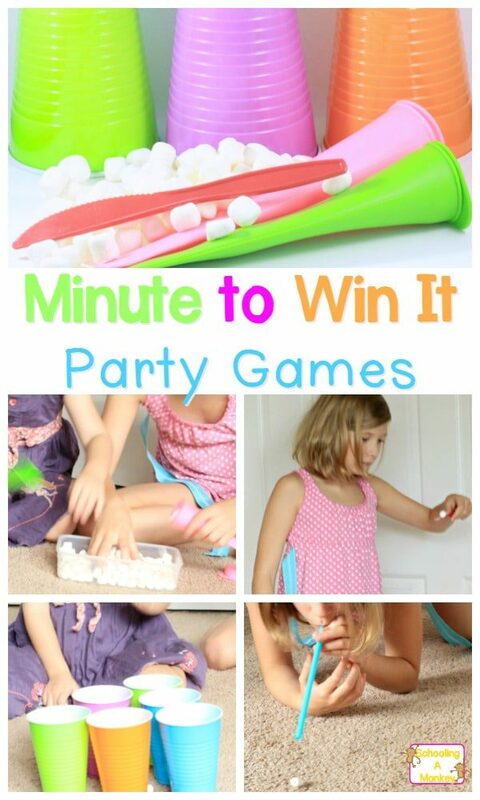 They had a blast playing our kids minute to win it games using marshmallows.